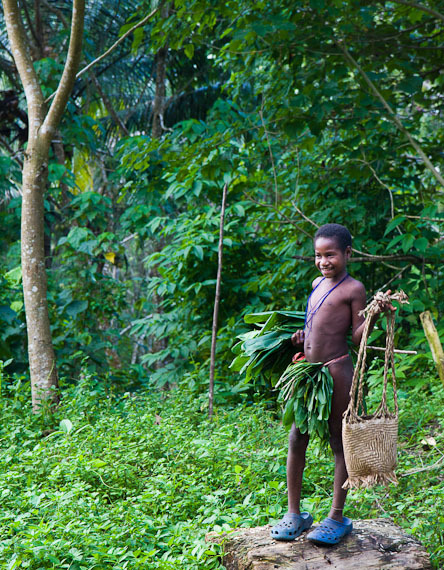 In a remote village in Vanuatu life goes on as it has for thousands of years – plus croc shoes. This young girl from the island of Espiritu Santo is working hard collecting supplies from the jungle with her plastic shoes the only clue to place this image in history. She emerged from the jungle shy and curious and I delight in her traditional dress, her over-sized plastic shoes and her innocence. As long as I stare at this photo, I’m still unable to comprehend the differences between my world and hers. All of the privileges I take for granted – learning to read and write in my own language, attending school and church in a language I understand, and not least, reading the Bible for myself. Thank you for your support of Bible translation ministries this week.